The workshop is supported in part by National Science Foundation grant Collaborative Research: A Phase II Expansion of the Development of a Multidisciplinary Course on Wavelets and Applications(DUE-0717662). 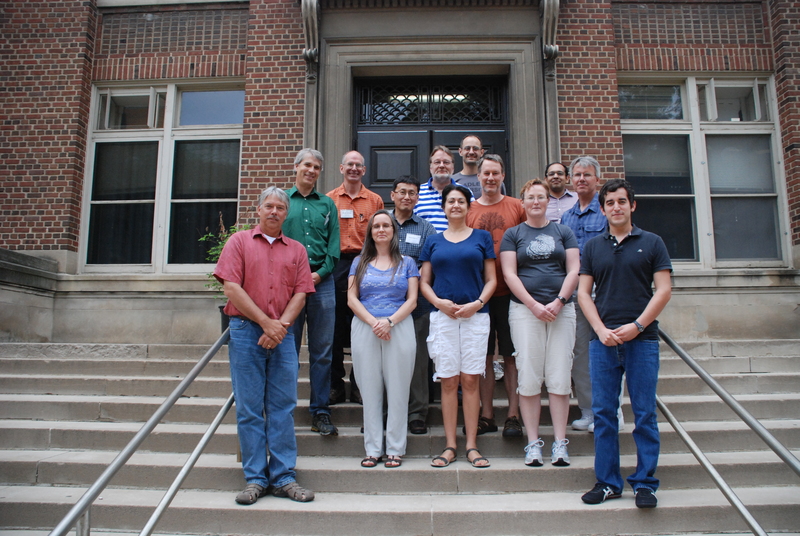 This workshop is being held simultaneously with Wavelets and Applications: Project Building Workshop, July 13-16, 2011. Applicants will only be able to apply to one of these programs. Wavelet theory evolved as mathematicians from areas such as harmonic analysis, functional analysis, and approximation theory brought their specialties together to develop the foundational results and construct algorithms for use in applications. Through development of an undergraduate course on wavelets, the organizer came to realize that the very manner in which wavelet theory came into being is an effective way to present the material to undergraduates. Constructing discrete wavelet transforms in an ad hoc manner (1) shows students that real-world problems are typically solved by using different areas of mathematics, (2) solidifies ideas from sophomore calculus and linear algebra, (3) establishes the computer as an effective learning tool, (4) provides strong motivation for taking upper level classes such as real analysis, (5) allows students to learn about a current topic and its uses in real-world applications. On the last day of the workshop, faculty groups will present their developed project (or status thereof) to not only the other participants but also to the participants of the Introduction to Wavelets workshop held concurrently. It is expected that all participants in this workshop already have a working knowledge of wavelets such as previously attending an introductory wavelet workshop. Detailed information for past workshops is available at http://cam.mathlab.stthomas.edu/wavelets/pdffiles/MathFest09.pdf. This pdf file gives several topics from which participants can choose for their projects. There is a maximum of 12 participants. While all university faculty interested in teaching an introductory course on wavelets at their home institutions are encouraged to enroll, we especially encourage new faculty and faculty members from underrepresented groups. 9:15 am - 10:15 am Why Wavelets?